"The money is out there just go out and get it". 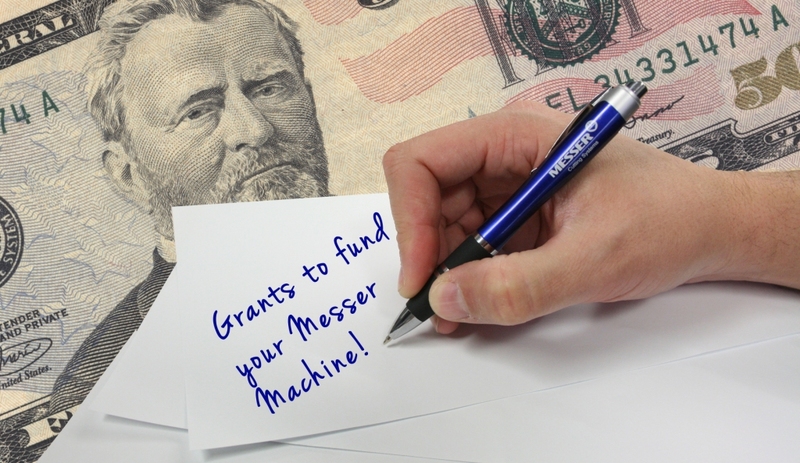 We are happy to announce Messer Cutting Systems "Grant Program" for dealers to introduce to potential customers. Below is a listing of available grants that can be presented to customers who may qualify for money from the government towards the purchase of a Messer machine. This information is to be kept confidential between dealer and customer. We strongly urge you to use this as an additional source for closing a sale if cost is an issue for the customer. For 2017, if this initiative proves to be successful, national funding databases will be available for Messer to use to compile future source funding. We also would like you to notify your Regional Sales Manager if a grant was obtained.